90TEN’s Flight HIV101 campaign on behalf of Gilead aimed to help gay men living with HIV discuss long-term health with their doctor. Close community collaboration meant that it was a campaign developed by gay men for gay men. It centred around a flight safety comedy short featuring HIV-positive drag queen Panti Bliss – voted “more influential than Donald Trump” by TIME Magazine in 2016. The campaign reached 29m people, with 18% of the target population showing intent to improve long-term health. 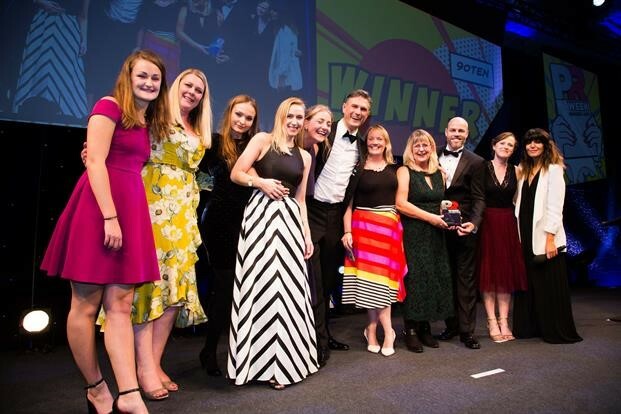 The PRWeek Awards recognise and reward outstanding work in healthcare communications across local, European and international markets, and are judged by a panel of industry experts and leaders. The PRWeek UK Awards take the Flight HIV101 campaign accolades to seven following recognition at the Communique 2018 and PM Society Digital Awards. Contact Carole North – carole.north@90ten.co.uk; call +44 20 7627 0990. 90TEN is a global, independent healthcare communications consultancy that specialises in using proven behavioural change tools to maximise brand and health outcomes. 90TEN’s specialist consultancies, 90TEN Communications and 90TEN Medical deliver, highly creative, award-winning global and international public relations, medical education and patient engagement programmes for pharmaceutical and healthcare clients.